Nine albums, a variety of fantastic musicians with a pedigree and still they are most major only in Japan. Since vocalist/keyboardist Mikael Erlandsson formed the band together with FAIR WARNING guitarist Andy Malecek they have released nine studio albums plus one live and one best of. Ian Haugland and John Levén of EUROPE came and went, in came Jamie Borger and Nalle Påhlsson from TREAT and only the latter left as he also left TREAT for THERION. Marcel Jacob (R.I.P) left us and LAST AUTUMNS DREAM too soon. But everything leads us to 2012 and the new album from Erlandsson & co. Anyone who likes this band will be pleased with opener “In a Perfect World”. The smart opening, the refrain, the riff, it´s all there. But, of cause, the title track is, together with the duet with Jenny Redenkvist, “Angel Eyes” the best on offer. How they get such flow in the words I can´t tell… Another pleasure is hearing JEFF SCOTT SOTO in “The Last to Know”, another amazing refrain. But, alas, the most boring track I´ve heard from them is also on board. The weak elevator music style on “Merry-Go-Round” must be imitating the very meaning of the word? 3:48 felt like 13.49, and it´s the first time I´ve ever used the forward button on the band. Neither “Golden Cage” or “All I Can Think Of” impress, so track four to six was not of the same standard as the rest of the album. “Megalomania” has a hard sound to it but I think it´s their way of conveying an emotion and a state of mind, if so bravo. 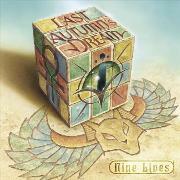 Still, LAST AUTUMNS DREAM is a favorite of the genre, but I hope they steer well clear of future triple mistakes.